The City of Thornton commissioned the expertise of Counsilman-Hunsaker to design a state-of-the-art aquatic facility to be included in their new 79,000 sq. ft. recreation center. Completed in 1994, this facility showcases two bodies of water with the latest trend in innovation and technology when combining leisure and lap pools, waterslides, and water toys all in one location. 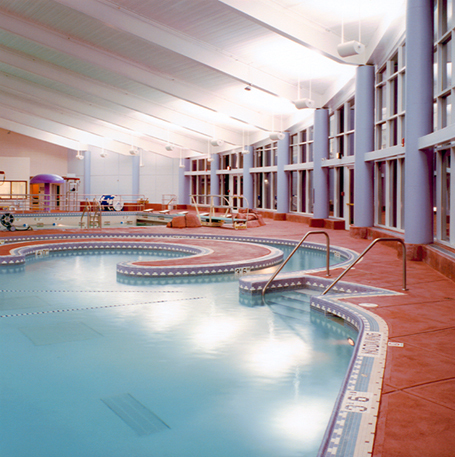 This multi-purpose aquatic facility meets the community’s athletic, fitness, and leisure programming needs. With the latest trends, facilities like this are becoming more desirable throughout the nation due to their multi-use design, which caters to many different aquatic programming needs while offering dry-side fitness activities as well.